The Constitution lays out the Electoral College in Article II, Section 1, though the process has been modified a bit over the years, both through constitutional amendments as well as through practice and tradition (Keyssar). Because of the Electoral College, only 538 electors – instead of “We the People” – choose the Leader of the Free World. Admittedly, the Electoral College’s issues aren’t new by any means; in the mid-19th century, Senator Charles Sumner argued that the Electoral College was “artificial, cumbrous, radically defective and unrepublican” (Keyssar). Especially in a democracy, the will of the people should matter. After all, since 1967, a majority of Americans have favored replacing the Electoral College with a popular vote system; in 2011, 62% of Americans supported a Constitutional amendment replacing the Electoral College, with only 35% wanting to keep the Electoral College (Saad). With the 2016 presidential election coming up, it’s worth taking another look into the Electoral College – one of the most obviously flawed aspects of our system government. In this essay, I hope to show that the Electoral College is inherently flawed; that it’s especially unfair for racial minorities; and that it has enabled, if not encouraged, further racial inequality. Arguably the clearest issue with the Electoral College is that it denies the basic principle of ‘one citizen, one vote.’ While the Declaration of Independence states “that all men are created equal,” the Electoral College suggests otherwise. A state’s members of the House and the Senate determine their number of electors (along with three electors for the District of Columbia). While the House of Representatives is relatively proportional (because it’s based on population), the fact that each state has two Senators (regardless of its population) means that smaller states are over-represented, while bigger states are under-represented (Kimberling). In other words, voters have more power in places like Wyoming, Alaska, and the District of Columbia, for example, because they’re over-represented in the Electoral College (Kimberling). On the other hand, bigger states like Texas, which has 7.6% of the national population, only controls 6.3% of the electoral votes; California has 12.2% of the population, but only 10.2% of the electoral votes (Levinson, 90). In some cases, like California and Wyoming, votes in some states count about three times as much in the smallest states as they do in the biggest states (Black). Only five states, according to UT Law professor Sanford Levinson, “enjoy parity between their percentage of the national population and their percentage in the electoral college” (Levinson, 90). Furthermore, 28 states have a higher percentage of the electoral vote than their percentage of the national population (Levinson, 97). Additionally, because the electors are based on representation, voter turnout has no role in the election (Keyssar). This, along with the winner-take-all system (which all states use but Maine and Nebraska), means that, in most states, minority voters – whether a minority of one-percent or 40 percent – have very little incentive to actually vote (Levinson, 88). This issue also leads to more problems, such as a lack of representation for third parties. In 1992, for example, Ross Perot won 19% of the vote – but zero electoral votes because he never won a majority in a state (Hoffman, 1014). If these issues were addressed, it’s likely that a direct popular vote, in which each ballot matters, would lead to an increase in voter turnout on a national level (Levinson, 89). After all, the United States, with its unique Electoral College, ranks 31st out of 34 developed countries in regards to voter turnout (Cohen). Furthermore, fifteen times in our history, presidential candidates have been elected despite failing to earn over 50% of the national vote (Kimberling). It’s even possible for a candidate to be elected while losing the popular vote; at least four of our 56 presidential elections – over seven percent of the time – have been won by a candidate who lost the popular vote (Black). Clearly, the Electoral College is inherently unfair, regardless of whom it puts at a disadvantage. Of course, it’s worth noting that the Electoral College was never meant to be democratic. In addition to alleviating some of the past’s practical issues of conducting a popular vote, the Electoral College was also designed as a safeguard from the uneducated masses, leaving more power in the hands of the governing elites (Levinson). But the Founders had another, more sinister reason for the Electoral College – to strengthen slave states (Levinson, 90). While slaves were unrepresented and disenfranchised, the Three-Fifths Compromise (in which slaves would count as 3/5 of a person for a state’s population) allowed slave states to gain more representatives – and therefore more electoral votes – without actually letting slaves have any voting rights whatsoever. Of course, thank God, we’ve put an end to slavery and segregation. But because of the way that the Electoral College is currently set up, it could be argued, as Josh A. Goodman wrote for The Huffington Post, even if the Electoral College “isn’t intentionally inherently racist, it still works that way: By privileging the voters of less populous, mostly white states, the Electoral College takes away power from the large racial minority populations in big states and adds to the existing racial injustices surrounding voting” (Goodman). While, yes, it’s technically true that people in smaller states, regardless of race, are at an advantage because of the Electoral College, it also happens that the over-represented smaller states are disproportionately white. Of the 33 states and D.C. that are overrepresented (specifically those with 10 or fewer electoral votes), twenty-eight of them are whiter than the national average (Goodman). More particularly, D.C. and the 12 states with 3 or 4 electoral votes are only 25 percent racial/ethnic minorities. On the other hand, in the four biggest states (the most under-represented), 52 percent of the population is a minority, compared to only 37 percent of the country as a whole (Goodman). Again, in practice, it just so happens that our democracy still discriminates against the very same minority groups that have been oppressed throughout our country’s history. The three most populous states (California, Texas, and New York, which make up over 25% of the total U.S. population), where a person’s vote counts the least, are the three states with the most non-whites (Black). It is true that the Electoral College can and, at times, does help minority groups (Kimberling). For example, in battleground states, where, because of the winner-take-all system, candidates spend a much greater amount of time, a small, concentrated minority can have its power increased because of their potential to swing the vote. In Florida, for example, Cuban-Americans and elderly Americans often get their concerns addressed more thoroughly because of the importance of their vote in presidential campaigns (Black). It’s also true, given the inherent nature of democracy, that minorities will always necessarily be at a disadvantage. Indeed, Hoffman entertains the idea that “a direct vote could work to minimize minority voting strength almost as severely as the winner-take-all system” (Hoffman, 1020). Still, judging from experience, that’s typically not the case. In 2000, 2004, and 2008, for example, four of the five largest and most racially diverse states (California, Texas, New York, and Illinois) were largely ignored by presidential candidates since those states weren’t seen as competitive (Edwards). As Texas A&M professor George Edward put it, “The electoral college thus discourages attention to the interests of African Americans because they are unlikely to shift the outcome in a state as a whole” (Edwards, 142). In fact, in 2008, John McCain and Barack Obama (who combined to spend more than one billion dollars for the first time in campaign history) spent “more than 98% of all campaign events and more than 98% of all campaign spending took place in only 15 states,” with the majority of these events taking place in only Florida, Ohio, Pennsylvania, and Virginia (Gerber). The population of those fifteen states represents only 36.6% of the nation’s voting population (Gerber). Because of the Electoral College’s winner-take-all system, not only can certain groups be ignored, they can be actively disregarded. Especially in the former Confederacy, voting is very racially polarized (Hoffman, 940). In 1948, 1960, and 1968, a few electors in the South voted for explicitly pro-segregation candidates. In 1948, for example, the Electoral College enabled the proudly racist Strom Thurmond to win a few states in the South, earning 7.34% of the electoral vote despite only winning 2.41% of the national vote (Hoffman, 1014). In recent elections, the Republicans have consistently won the South, though Democrats still often receive over 35 percent of the vote in the region (Enten). But the South’s embrace of the Republicans has coincided with racialized political polarization (Hoffman). For example, in 1948, Strom Thurmond ran as a Dixiecrat because the staunch segregationist opposed the more integrated policies of President Truman; and in 1964, Thurmond even switched over to the GOP because of his opposition to the 1964 Civil Rights Act. Writing for The Yale Law Journal, Matthew M. Hoffman notes that, in the past five presidential elections, “between 82% and 90% of black voters nationwide have voted for the Democratic candidate” (Hoffman). By contrast, Hoffman continues, “white voters have preferred the Republican candidate in every election since 1976, by margins ranging from 2% in 1992 to 29% in 1984” (Hoffman, 939). Notably, racial history still seems to play a role in politics. For example, while African-Americans nationwide overwhelmingly support Democrats, black voters in Alabama – part of the South – support the Democratic candidates to an even greater degree than black voters in California (Hoffman, 1004). For context, Hispanic voters are also generally loyal Democrats, but not to the same level as African-Americans (Hoffman, 1004). While the greatest concentration of black Americans is in the former Confederacy, where they make up 20 to 37 percent of the population, the winner-take-all system leaves black Americans essentially without a vote (Edwards, 140). To quote Edwards, “Almost all African Americans in these [Southern] states vote for Democratic presidential candidates, but in a competitive election nationally, these states are likely to go Republican. The electoral college thus prevents the votes of African Americans in these states from contributing to the national totals of the Democratic candidate” (Edwards, 141). And this has real consequences. In 2000, for example, Al Gore won about 90 percent of the black vote, compared to George W. Bush’s 10 percent (Roper). Furthermore, Gore actually received more total votes than George W. Bush too. But, because of the Electoral College, Bush won the South’s electoral votes and the election. I would argue that the Electoral College, by enabling candidates to essentially ignore racial minorities, discourages politicians from adequately addressing their problems and concerns. Racial minorities tend to face disadvantages across the board compared to white Americans. Furthermore, according to a ranking of each state’s healthcare system done by the Commonwealth Fund, “Southern states scored especially poorly across all of the dimensions,” which included insurance coverage, avoidable hospital stays, vaccination rates, obesity rates, and more (Khazan). And while the region struggled all around, the Deep South’s racial and ethnic minorities “faced some of the widest disparities relative to the national average across all of the indicators assessed in [the Commonwealth Fund’s] Equity dimension” (Khazan). One such example of national inequality is the mortality rate for black Americans, which is about 18 percent higher than it is for white Americans (Michaels). This inequality affects (and has been affected by) politics. If black mortality rates would’ve been similar to white mortality rates between 1970 and 2004, then an estimated million more black Americans would’ve voted in the 2004 election, according to a study done by The University of Michigan’s Arline Geronimus (Michaels). Geronimus noted that chronic health conditions, which afflict black people more than whites, were linked to most premature black deaths (Michaels). Geronimus explains the importance of her study: “If you’re losing a voting population, you’re losing the support for the policies that would help that population. As long as there’s this huge inequality in health and mortality, there’s a diminished voice to speak out against the problem” (Michaels). Perhaps most significant, I would even argue that the Electoral College brought an end to Reconstruction and ushered in Jim Crow, the legacy of which still lives on today. In the 1876 presidential election, Democrat Samuel Tilden received more votes than Republican Rutherford B. Hayes, but only 184 electoral votes – not enough to secure a majority (Wormser). Interesting and note-worthy controversy followed, but for the purpose of this paper, what’s important is the election’s conclusion: The Compromise of 1877. To resolve the stalemate, Southern Democrats, behind closed doors, agreed to elect Hayes for president in exchange for the end of Reconstruction, among other things (Wormser). At the time, Black Southerners had made progress regarding civil rights and politics – which Jim Crow laws quickly rescinded (Tafari). In more blunt terms, Sy Landy argued that the Compromise of 1877 “promised the white rulers of the Southern states that the last of the Civil War Union troops would be withdrawn from the South, so that the rights that Blacks gained during the revolutionary post-war Reconstruction period could be taken away. The whole history of Jim Crow laws, and the racist brutality that went with them was built on the 1876 precedent” (Landy). “The reason why the poll tax appealed so much to white supremacists may not be entirely obvious at this late date. The amount of money involved does not seem large. But the poll tax was actually a lot of money. Consider the percentage of annual income of a southern black farm laborer taken by a $1.00 poll tax and compare it to a contemporary equivalent payment. One dollar was about one-half of 1 percent of a black farm laborer’s annual income circa 1900, assuming he worked every day of the year. That translates into about $135.00 in 2001 dollars.” (Valelly, 125). Even if these standards could be met, voting was quite an expensive and time-consuming hassle, which would discourage voter turnout in and of itself. Furthermore, research has found that a state’s competitiveness and voting rights enforcement activity were positively and significantly related during the late nineteenth century – as Edwards put it, “The noncompetitive Solid South provided little incentive to enforce the franchise for African American voters” (Edwards). The effect of the South’s disenfranchisement of African Americans had political repercussions: because Republicans could gain enough votes outside of the South to be able to gain control of the national government, they had no motivation to appeal to Black Southerners for their support (Valelly, 136). Indeed, after 1877 through the 1950s, the South almost always voted for Democrats, with Republicans at times failing to get even one-tenth of the vote in some states (Enten). It wasn’t until the early 1960s, when the Democratic Party, with John Kennedy and Lyndon Johnson, began embracing The Civil Rights Movement that the Republican Party, with Barry Goldwater and Richard Nixon, began their Southern Strategy for the support of white voters in the South (Hoffman). The previously mentioned Strom Thurmond is an example of a ‘Dixiecrat’ switching to the Republican Party in the 1960s, largely because of The Civil Rights Act of 1964. Currently, according to Gallup, 85 percent of those age 65 and older are non-Hispanic whites, making it the least racially diverse age group in America (Jones). Older whites lean Republican by double-digit margins; in contrast, nonwhite seniors are the most strongly Democratic of any age group (Jones). Perhaps that shouldn’t be surprising. Considering that a 65 year old would’ve been born in 1950, seniors today would’ve reached voting age right around the time that the Southern Strategy was being implemented, which could’ve understandably resulted in nonwhite seniors being so strongly Democratic today. While exploiting racism has led many political victories historically, the demographics are quickly making this strategy ineffective, if not downright counterproductive. The already-slowing growth of America’s white population will likely begin to decline in a decade or so (Frey). On the other hand, non-white populations already account for over 90 percent of U.S. population growth. By 2043, the majority of Americans will no longer be non-Hispanic whites. (Frey). It’s worth noting that many, if not most, of the Electoral College’s problems are the result of the winner-take-all system, which isn’t an inherent part of the Electoral College. In fact, two states, Maine and Nebraska, don’t follow the winner-take-all system; instead, the states give two votes to the statewide winner and then one vote to the winner of each congressional district. This method has already been accepted by the Supreme Court, and generally hasn’t had much of an impact historically (Hoffman, 1012). And because of the two votes resulting from the Senators-bump, Maine’s votes are still unfairly over-represented in the Electoral College. Other states have discussed using this method, and there’s a national movement to get enough states (which would add up to a majority of the Electoral College) to determine their votes based on the national popular vote, rather than state-by-state. Granted, especially given the influence of short-term politics, this likely won’t catch on any time soon, if it ever does at all (Hoffman, 1015). Because incremental changes can be difficult or simply too slow, and because the Constitution isn’t as clear as it should be on the topic, I would suggest a constitutional amendment that would dismantle the Electoral College and replace it with a national popular vote. But that’s arguably even less likely than incremental change. A constitutional amendment requires ratification by three-quarters of the states – some of which benefit from the Electoral College – so it doesn’t seem likely that smaller states will gleefully give up power for the sake of democracy (Landy). While the Electoral College generally seems to unfairly discriminate against racial minorities and unfairly benefits small states, its effect on political parties isn’t as straightforward. During the first half of the 20th century, the Electoral College gave an advantage to the Republican Party (Enten). According to FiveThirtyEight’s Harry Enten, Republicans “could have lost the national popular vote and won the electoral college in 12 of the 13 elections from 1900 to 1948. On average, they could have lost by 2.2 percentage points nationally and emerged victorious” (Enten). It’s a different story between 1952 and 2012, when “the majority of electoral votes leaned more Republican than the nation seven times and more Democratic nine times” (Enten). Still, in four of the past five elections, Democrats could have won the Electoral College while losing the popular vote. And the one exception? That was the 2000 election, when Republican George W. Bush won the Electoral College without winning the popular vote (Enten). It’s not surprising that support (or lack thereof) for the Electoral College was much more partisan following the 2000 election. Just days after the Supreme Court’s decision resulted in Bush’s victory, Gallup found that 75 percent of Democrats favored amending the Constitution to replace the Electoral College with a popular vote, compared to only 41 percent of Republicans who favored replacing the Electoral College (Saad). A majority, 56 percent, of Republicans actually favored keeping the Electoral College (Saad). In the past, Americans had been less divided on the issue. In November 1980, 67% of Americans overall, with majorities of Republicans, Democrats, and independents, approved of an amendment that would change the Electoral College – suggesting that the political tensions around the 2000 election heavily influenced how Americans think about the Electoral College (Saad). As previously mentioned, as of 2011, 62% of Americans supported a Constitutional amendment replacing the Electoral College, with a majority of Republicans favoring it for the first time since 2000 (Saad). Obviously, minorities of any kind in a democracy will face challenges and limited power. And the Electoral College is inexcusably unfair, regardless of race. Still, given the historical and socioeconomic context, the Electoral College, from its origins and still today, is especially unfair for racial minorities. Hoffman goes as far as saying that, when viewed in context, the Electoral College and its “winner-take-all rule appears little different from literacy tests, the white primary, and the poll tax – nothing more nor less than an instrument of white supremacy” (Hoffman, 1002). Black, Eric. “10 Reasons Why the Electoral College Is a Problem.” MinnPost, 16 Oct. 2012. Web. <https://www.minnpost.com/eric-black-ink/2012/10/10-reasons-why-electoral-college-problem&gt;. Cohen, Kelly. “Voter Turnout Lower in the United States than in Most Developed Countries.” Washington Examiner, 6 May 2015. Web. <http%3A%2F%2Fwww.washingtonexaminer.com%2Fvoter-turnout-lower-in-the-united-states-than-in-most-developed-countries%2Farticle%2F2564086%23.VVOM-DkWJXc>. Edwards, George C. Why the Electoral College Is Bad for America. New Haven, CT: Yale UP, 2004. Print. Enten, Harry. “Democrats Shouldn’t Count on an Electoral College Edge in 2016.” DataLab. FiveThirtyEight, 21 Apr. 2014. Web. <http://fivethirtyeight.com/datalab/democrats-shouldnt-count-on-an-electoral-college-edge-in-2016/&gt;. Frey, William H. “Enjoy It While It Lasts! GOP Base Is Still White and Aging.” Salon, 5 Nov. 2014. Web. <http://www.salon.com/2014/11/05/enjoy_it_while_it_lasts_gop_base_is_still_white_and_aging/&gt;. Gerber, Alan S. “Using Battleground States as a Natural Experiment to Test Theories of Voting.” Orion. N.p., 13 Aug. 2009. Web. <http://orion.luc.edu/~ddoherty/documents/Battleground.pdf&gt;. Goodman, Josh A. “E-Race-ing the Vote: The Electoral College’s Hidden Problem.” The Huffington Post. TheHuffingtonPost.com, 31 Oct. 2012. Web. <http://www.huffingtonpost.com/josh-a-goodman/electoral-college-hidden-problem_b_2046957.html&gt;. Jones, Jeffrey M. “U.S. Seniors Have Realigned With the Republican Party.” Gallup, 26 Mar. 2014. Web. <http://www.gallup.com/poll/168083/seniors-realigned-republican-party.aspx&gt;. Hoffman, Matthew M. “The Illegitimate President: Minority Vote Dilution and the Electoral College.” The Yale Law Journal, Jan. 1996. Web. 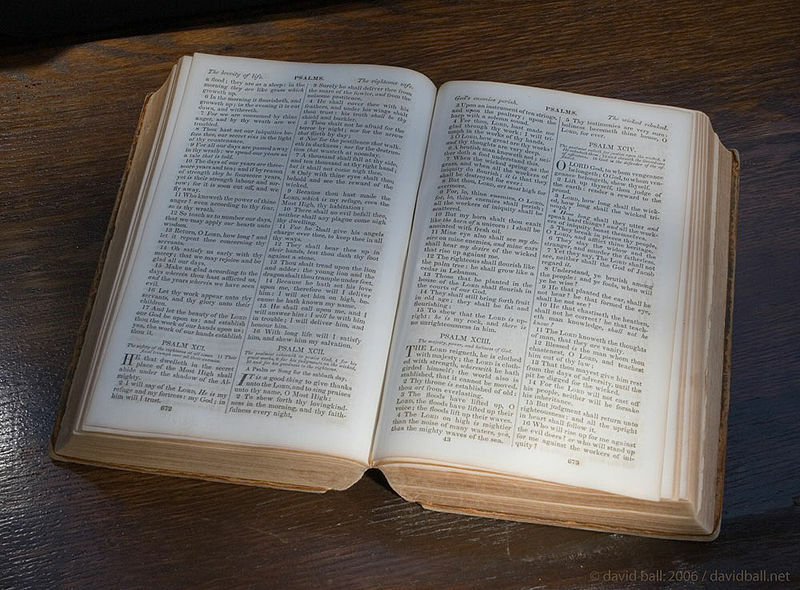 <http://www.jstor.org/stable/797244&gt;. Keyssar, Alexander. “Revisiting the Constitution: Do Away With the Electoral College.” The New York Times, 8 July 2012. Web. <http://www.nytimes.com/roomfordebate/2012/07/08/another-stab-at-the-us-constitution/revisiting-the-constitution-do-away-with-the-electoral-college&gt;. Khazan, Olga. “The States With the Worst Healthcare Systems.” The Atlantic. Atlantic Media Company, 01 May 2014. Web. <http://www.theatlantic.com/health/archive/2014/05/the-states-with-the-worst-performing-healthcare-systems/361514/&gt;. Kimberling, William C. “The Electoral College – Pros and Cons.” The Electoral College – Pros and Cons. N.p., n.d. Web. 2 May 2015. <http://uselectionatlas.org/INFORMATION/INFORMATION/electcollege_procon.php&gt;. Landy, Sy. “Racism Rules: The Fraud of U.S. Democracy.” Racism Rules: The Fraud of U.S. Democracy. Proletarian Revolution, Winter 2001. Web. <https://www.marxists.org/history/etol/newspape/socialistvoice/electionPR62.html#box&gt;. Levinson, Sanford. Our Undemocratic Constitution. Oxford: Oxford UP, 2006. Print. Michaels, Samantha. “If Black People Lived as Long as White People, Our Election Results Would Be Very Different.” Mother Jones, 1 May 2015. Web. <http://www.motherjones.com/kevin-drum/2015/05/black-deaths-american-election-results&gt;. Moyers, Bill. “NPQ.” New Perspective Quarterly. N.p., Winter 1987. Web. <http://www.digitalnpq.org/archive/1987_winter/second.html&gt;. Roper, L. David. “2000 Presidential Election CNN Exit Polls.” 2000 Presidential Election CNN Exit Polls. N.p., n.d. Web. <http://arts.bev.net/roperldavid/politics/exitpolls.htm&gt;. Saad, Lydia. “Americans Would Swap Electoral College for Popular Vote.” Gallup. N.p., 24 Oct. 2011. Web. <http://www.gallup.com/poll/150245/americans-swap-electoral-college-popular-vote.aspx&gt;. Tafari, Tsahai. “The Rise and Fall of Jim Crow: The President.” The Rise and Fall of Jim Crow. PBS, 2002. Web. <http://www.pbs.org/wnet/jimcrow/struggle_president.html&gt;. Valelly, Richard M. The Two Reconstructions: The Struggle for Black Enfranchisement. Chicago: U of Chicago, 2004. Print. Wormser, Richard. “Hayes-Tilden Election 1876.” The Rise and Fall of Jim Crow. PBS, 2002. Web. <http://www.pbs.org/wnet/jimcrow/stories_events_election.html&gt;. From 1920 until 1933 – beginning with the ratification of the Eighteenth Amendment and ending with the ratification of the Twenty-First Amendment – the United States prohibited the sale, production, importation and transportation of alcoholic beverages. However, the journey to establish prohibition began over a century earlier. The dry movement, also known as the temperance movement or the prohibition movement, had a wide variety of supporters: religious and rural conservatives as well as urban progressives; men as well as women, sometimes working together, sometimes separately; wealthy business owners who thought alcohol made their workers less productive as well as workers who thought alcohol was used to oppress them; white people who feared the perceived danger of black people drinking as well as black people who thought alcohol was a tool to limit their progress (Burns). By the time of national prohibition, the temperance movement had already been working for decades to promote their cause. In this essay, I will discuss the improbable success of the temperance movement through the religious and economic changes in antebellum America, the movement’s reemergence and expansion in the 1870s, and the mostly political changes around the turn of the 20th century that helped prohibitionists achieve their ultimate goal. 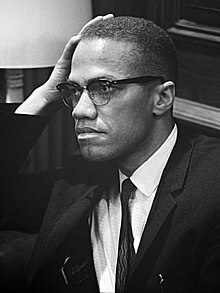 Perhaps the shortest and easiest way to summarize the life of Malcolm Little, ‘Detroit Red’, ‘Satan’, Malcolm X, and finally El-Hajj Malik El-Shabazz is to quote Ossie Davis, who explained to a magazine why he eulogized Malcolm X: “He had been a criminal, an addict, a pimp, and a prisoner; a racist, and a hater, he had really believed the white man was a devil. But all this had changed. Two days before his death, in commenting to Gordon Parks about his past life he said: ‘That was a mad scene. The sickness and madness of those days! I’m glad to be free of them.’” Or, as Columbia professor Manning Marable subtitled his biography of Malcolm X, it was A Life of Reinvention. In his own Autobiography, Malcolm noted that his “whole life had been a chronology of changes.” His life molded the world, and his legacy still lives on today, both globally and locally. 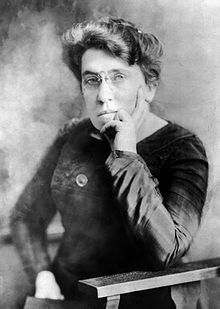 Emma Goldman (1869 – 1940) is one of the most under-appreciated figures in history. She fought for workers’ rights, for women’s rights, for birth control, for free speech, for peace.